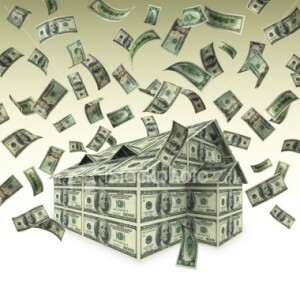 Real Estate Investing using the Flipping methodology is a time tested, proven financial strategy for hundreds of years. Knowing the fundamentals is primary factor between financial success and financial disaster. To simply real estate investing using “flipping” there is but one hard and necessary rule: “Know your exit strategy”. A simple definition of a flipper is: one who acquires properties at a price substantially less than the current retail rate with the expressed intention of reselling at a higher price. This is a non-licensed practice and requires an excellent understanding of rehab construction and a perceptive knowledge of the neighborhood real estate markets. Clearly there is a difference between flipping and speculating when it comes to single family homes. True, many speculators are actually a sub-set of real estate flippers. A successful flipper, when compared to a speculator though is always more conservative and has a more granular economic analysis when it comes to prospective real estate purchases. For a flipper there are but two exit plans: 1. Quickly flip the title to another investor (who may be a speculator), or 2. Rehab and sell the property at the current market value. The second plan, rehab and sell, will create the larger profit but the first plan, flip the title, tends to perform in a much shorter time frame and allows for multiple executions when compared to the rehab time line. The “bird dog” – This is a scout or information gatherer who locates potential deals and then sells the information to another investor for a fee. The “wholesaler” – Like the “bird dog” this person locates the potential deal but then moves ahead to tie up or put under contract that particular deal. This contract usually contains a time frame as to when title for the property will change hands legally. This allows the wholesaler to sell the contract or assign the contract to another investor or individual interested in owning that property. The “retailer” – Generally getting leads from the bird dog and wholesaler, the retailer will at first, appraise the project with regards to rehab costs. The retailer will always put up the most money out of the three but stands to make the largest profit. Additionally, the retailer’s project time line is much longer, generally months, instead of days or weeks like the bird dog or wholesaler. Real estate investing usually starts with flipping properties. The down side of “flipping” is ending up with the property. This creates a situation where you then become a Landlord. This is only a bad situation if your payments for the investment for obtaining the property cannot be covered (with profit) by the money realized from renting that property. Quickly you can understand that if you are paying 5% to use the money that you have involved in a potential flip (example: $350.00 a month) and you can now successfully rent that property (example: $700.00 a month), then you have, in fact, made a successful real estate investment. The combination of falling real estate prices, banks releasing their single family home assets, low interest rates, rising rental prices, and more displaced people looking to rent vs. own, creates a strong opportunity for real estate investors. We are in an economic time period where it is very simple to buy positive cash flow real estate investments. These opportunities are particularly strong in single family homes and not in condos as well as in multi-family housing (falling prices with CAP rates rising). For the investor that understands the fundamentals, the market, and has vision, now is the time for successful real estate investing.